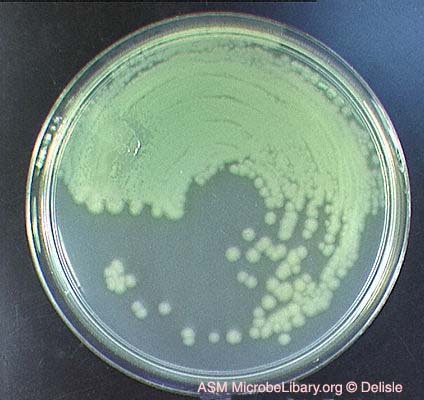 P. aeruginosa is the fourth most cited bacterium in PubMed and has a strong research community studying it. Many are investigating how Pseudomonas aeruginosa establishes infections and causes disease. The complete description of the genetic makeup of P. aeruginosa and other closely related Pseudomonas strains will be invaluable to researchers attempting to devise new ways to combat this pathogen. The Cystic Fibrosis Foundation and PathoGenesis Corporation jointly funded the Pseudomonas Genome Project to sequence the complete genome of P. aeruginosa strain PAO1. The effort, which began in April, 1997, was carried out at both the University of Washington Genome Center and PathoGenesis Corporation. Genome annotation (which involves linking other research data to the genome sequence) was carried out by PathoGenesis scientists and by scientists in the Pseudomonas aeruginosa Community Annotation Project (PseudoCAP). The initial phase of the PseudoCAP project was funded by the Canadian Cystic Fibrosis Foundation (Cystic Fibrosis Canada), French Cystic Fibrosis Foundation (Association Française de Lutte contre la Mucoviscidose or AFLM), and German Cystic Fibrosis Foundation (Mukoviszidose e.V.). The project, termed the Pseudomonas aeruginosa Community Annotation Project or PseudoCAP, was met with enthusiasm - 47 researchers initially expressed interest in the project, and in the end 61 researchers submitted a total of 1741 annotations, a sizeable volunteer contribution for a genome containing 5570 genes. After publication of the complete P. aeruginosa PAO1 genome sequence in the year 2000, we have now expanded the methodology of our approach and our core database to facilitate the development of a continually updated genome annotation database for this organism. PseudoCAP was the first wholly Internet-based and community-based genome annotation project for analysis of a genome of a free-living organism (see the letter in Nature co-published with the genome paper). PseudoCAP is coordinated by Dr. Fiona Brinkman of Simon Fraser University, with database development led by Geoff Winsor at Simon Fraser University. The completed sequence and original annotation was published in August, 2000 (Nature).